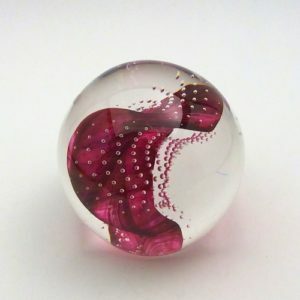 Born and raised in New York City. 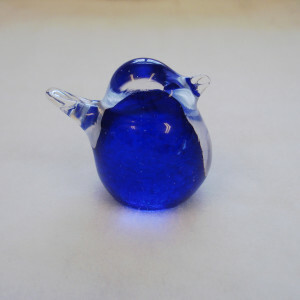 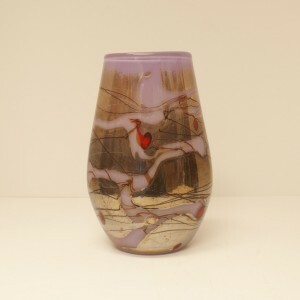 Alex was introduced to hot glass in 1985, it was love at first sight. 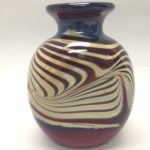 Upon graduating college he made his way to the woods of New Hampshire where he and his creative abilities thrived. 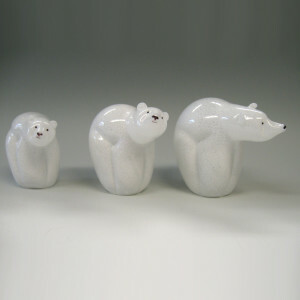 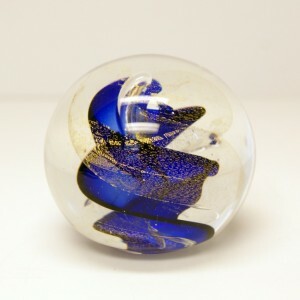 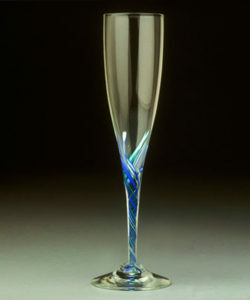 He began creating his unique glass designs including, his popular stemware and vases. 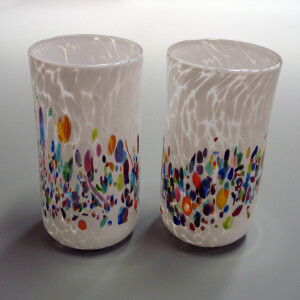 Alex's work over the years has grown to include home lighting, and collaborative sculptural installations. 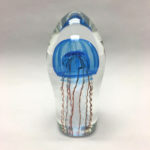 Each year Alex hosts special open house events in his studio,where he invites the public come watch him create his work. 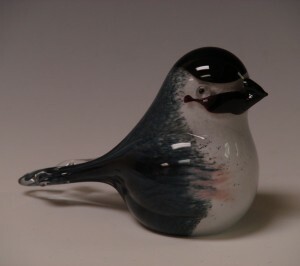 He is a juried member of the League of New Hampshire Craftsmen, and his work has been sold throughout the USA, and abroad. 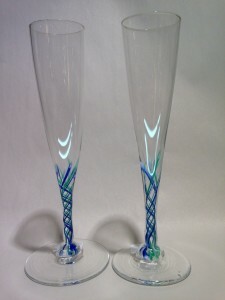 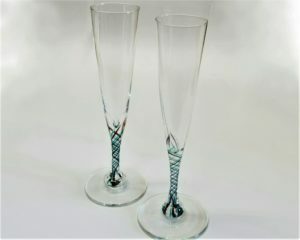 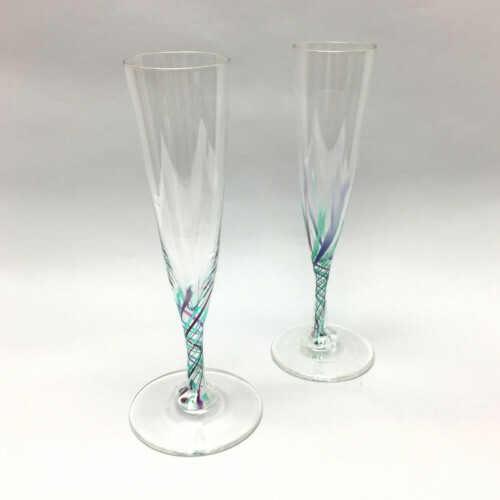 Glass champagne flute with purple, aqua & white swirls at the base.